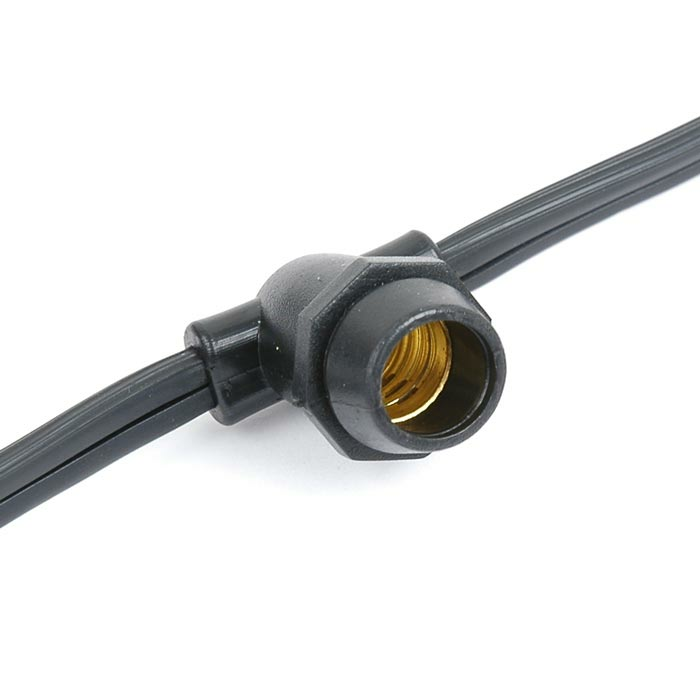 Candelabra base heavy duty light strings for c7, g30 and g40 bulbs. 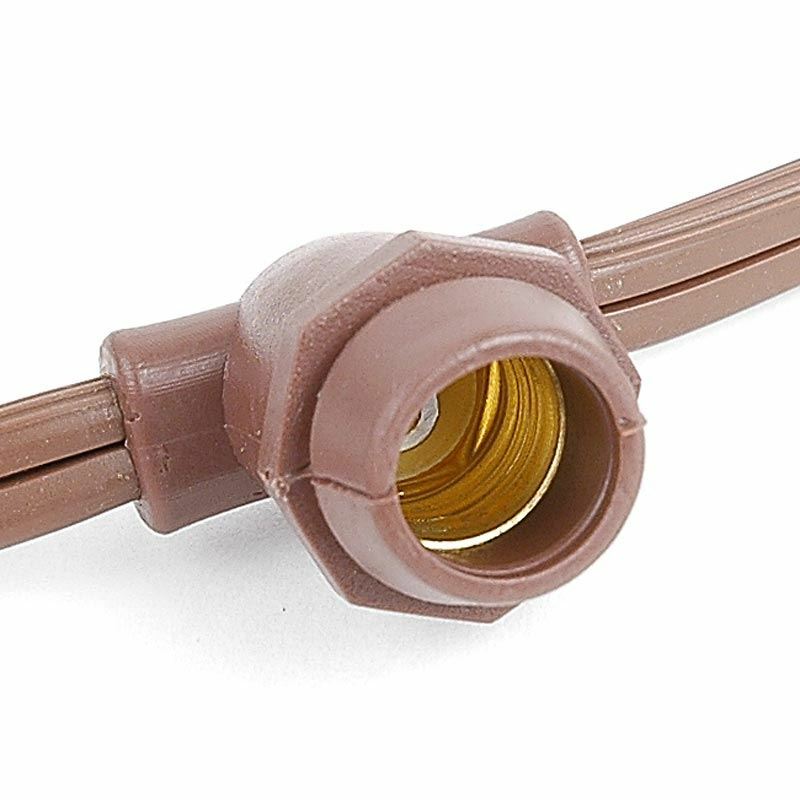 These commercial quality C7 light strings are the very best you can get and are perfect for permanent outdoor lighting displays. 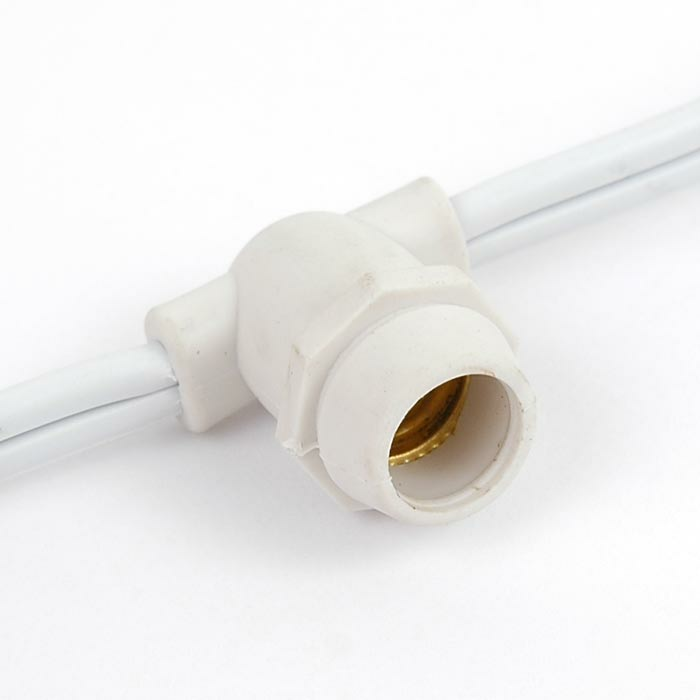 Each string features a rubber socket that seals up on the bulbs making a watertight seal. Available in 25', 100, and 300 lengths on both black and white wire.